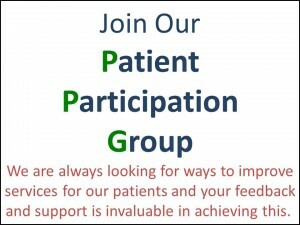 As our patient, YOU are very welcome to join! The group meet every 6 to 8 weeks and discuss a wide variety of matters from service provision to premises improvements. If you are interested in joining this group please click on 'Have Your Say' at the top right of this page. Please note your email address may be shared with other members of the group.